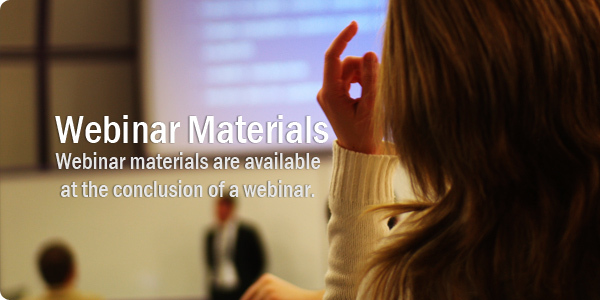 NOTE: You will receive the password for the webinar materials page at the end of the webinar. please call our Technical Support Group at 800-328-1940 Ext. 5.